So now you have your domain name, you need a web hosting service for your blog. 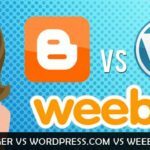 We are assuming here that you have decided not to choose a free blog hosting service such as Blogger or WordPress.com. If you want to be professional and have total control over your blog in all respects, then have made the right decision to use a paid hosting service. That said, there are many web hosts available online and it is usually very difficult for new bloggers to choose between them. You need a web host to run your blog: the web host provides you with space to store all the software files needed to run your blog. When you download WordPress, all the files needed to run it are stored on servers owned by your web host. 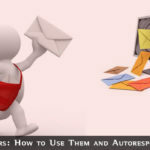 The same service also stores all your own files, such as blog pages and posts and provides them to your visitors/readers when they request them. 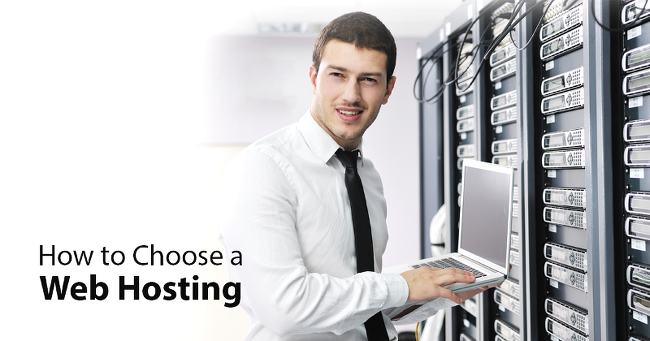 Why Choose Bluehost as a Web Server for Your Blog? We recommend you use Bluehost for several reasons, the main two being that it is affordable and it is reliable. Here are some of the benefits of using Bluehost to host your website. These prices are based on advanced payment of 36 months. 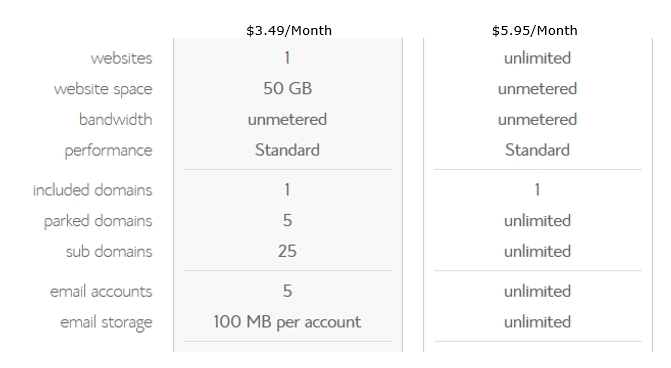 They change to $4.95/month and $7.95/month for 12 months advance payment. 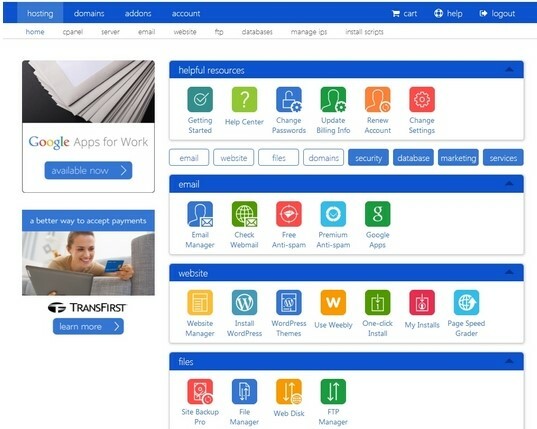 You may be able to pay monthly by contacting Bluehost. ‘Parked Domains’ allow you to create new blogs or websites with different domain names under the same account – at a reduced cost. You have the one you registered, and you can register and run five others at a reduced cost. These are totally different websites/blogs with their own registered domain names. ‘Subdomains’ are directories on the site you can use with different content. For example, dogs.mypets.com could be a different blog to your main blog, and cats.mypets.com could be another. That means that you can run 25 different aspects of your blog as separate blogs if you wish. Subdomains are free to create. 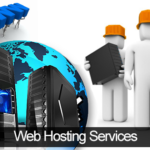 Bluehost is one of literally hundreds of such companies that offer a web hosting service. Many of these have very limited storage space available on their hard disks, and many are also very slow in operation. Others crash too often, leaving you without a site for a period of time. A bad web host can lose you readers and money. How would you like to click to your blog and find it not working!! Practically one-click installation of the content management systems needed to run your blog: in this case WordPress. WordPress-friendly, and recommended by WordPress as the web host of choice since 2005. Bluehost is the hosting service chosen by millions of WordPress users. If you are not happy with their performance, they will give you your money back without any questioning or quibbling. If you register with Bluehost from this site, then you can save money. Bluehost offers registration at $5.99/month (maybe higher than some lower quality services – but never take chances with your web hosts) while we can offer you this at $3.49/month for 36 month’s payment in advance. Bluehost gives you a free domain name with this service – though keep in mind the benefits of registering your domain with an independent company. For many, this free service is all they need to get started – you can then consider changing to an independent registrar when you feel the need. However, you do not own the domain name, and do you really want to run a blog with a name owned by another company? You could lose it if they fold or you leave. We highly recommend that you select Bluehost as your web host using your own domain name for reasons previously explained. Your domain name is part of your web address (e.g. http://www.myamazingblog.com) You must ‘point’ your domain name (the blue part) to your web hosting service (i.e. ‘attach’ it). This is how you ensure that if somebody searches for your domain in the address bar of a web browser such as Internet Explorer, Firefox, Chrome, Safari, Opera, etc. then they will find your blog. Note: Don’t confuse a browser with a search engine such as Google or Bing. A search engine is a tool you use on your browser to find information and blogs using keywords/search term such as ‘amazing blog.’ You can use a website address directly on a browser’s address bar without using a search engine. Enter your preferred domain name into the left side if you to accept Bluehost’s free domain offer. We recommend registering your own domain name as in Step 1, when you will enter it into the right hand box. Your domain name will then be attached to your web hosting service and ready for you to create your blog. 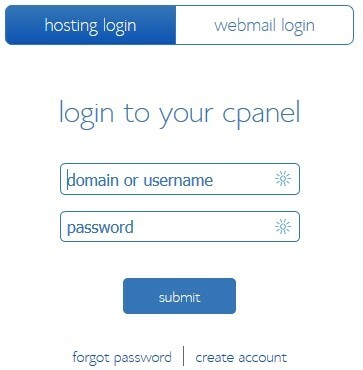 Don’t forget to point nameservers from your domain registrar panel. 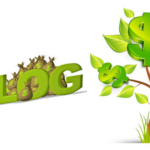 In Step 3 we will show you how to Install the WordPress blogging system and set up your blog.